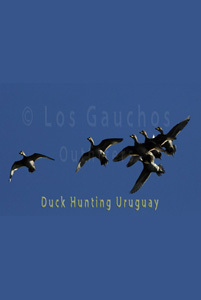 Uruguay Duck Hunting - Argentina Dove Hunting - How About Uruguay Duck - Dove Hunting Combo? 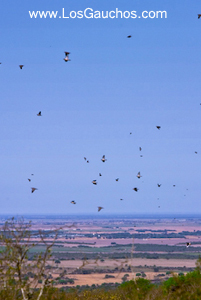 The following IS included in your daily rate at the Fortin (Uruguay) and NEW Argentina Duck Hunting Lodge(s). 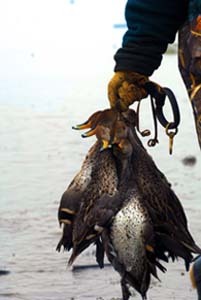 Lodging - double occupancy - Single occupancy is available at the Fortin Lodge (fee is added to your statement). Meals and Beverages - 3 meals plus snacks and desserts served all day everday. Please bring your own liquor. Beverages include beer and wine. 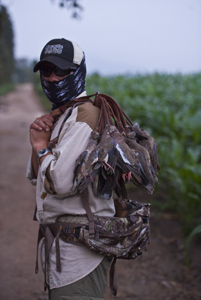 Dove hunting in Uruguay with Los Gauchos includes the following with payment of the daily rate. Lodging - double occupancy - Single occupancy is available (fee is added to your statement). Meals and Beverages -. Please bring your own liquor. Beverages include beer and wine. Please note - when staying at the hotel accommodations, beverages are served with meals. You must pay for any beer or wine outside a meal.